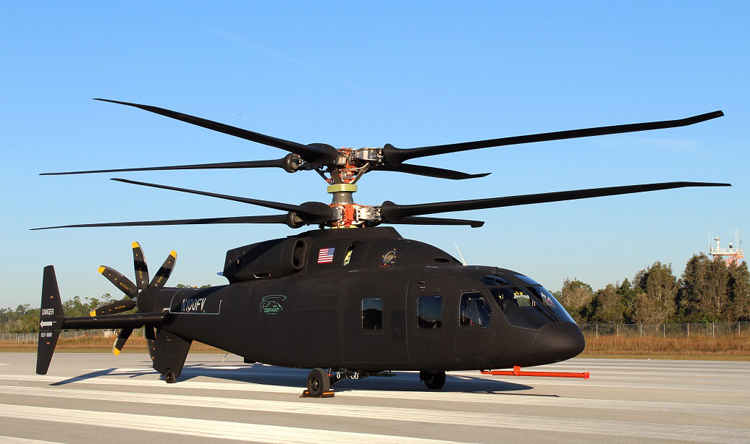 Sikorsky and Boeing provided the first look at the new SB>1 DEFIANT™ helicopter. The aircraft's rotor system will allow it to fly about twice as fast and twice as far as today's conventional helicopters. Sikorsky, a Lockheed Martin company, and Boeing provided the first look at the SB>1 DEFIANT™ helicopter the companies have developed for the US Army's Joint Multi-Role technology demonstrator program. The SB>1 DEFIANT™ is designed to fly at twice the speed and range of today's conventional helicopters and offers advanced agility and maneuverability. It will help inform the next generation of military helicopters as part of the US Army's Future Vertical Lift program.